Work for Quicken Rental Property Management? Learning about Quicken Rental Property Management? "Good alternative to an exccel sheet, beware of bugs"
With all the positive, here comes the negative, this software is just so buggy, sometimes I want to put my head through a wall, literally, it is so hard to get it to work the way you want to. Even updates are no help at all since they have removed some features that worked pretty good. Why am I not always happy! At least consistently for a period of time..
Why can't I get through a break up sooner?! Why is that there isn't anything fun happening in my life?! Why am I being so normal 75% of the times?! Why aren't people who hurt me aren't getting their bad luck?! Why are dishonest, rude people seem happier than I am. One has to monitor each unit one you run a rental business, as managing several properties gets difficult. Quicken’s Rental Property Management is a software that helps in saving data on every rental device, whether or not it’s a stand-alone residence or a unit in a multifamily building. Your net worth includes the value of the rental properties. However, Quicken Rental Property Management gives the options for tracking the aspect of your assets. "Doesn't warrant charging extra "
When set up properly it can separate out your income and expenses from your other personal finances. Nice ability to track units of a building and tenant contact information. Ability to store leases all in one place. I see this might be valuable for people who rent a lot of properties but if you just have one or two it might be a bit overkill. Difficult to get working properly and requires going back historically and "tagging" your transactions related to your units, which can be a big pain. Ultimately I really don't use many of the special features of the "Rental Property Manager" despite paying extra for them. Even the "Home & Business" edition is a bit overkill as you can really do what in terms of tracking profit using categories and custom reports, which is available in all Quicken versions. Rental Property Manager is a steep $165 which is pretty nuts considering it only adds a few minimal "management" features. Evaluate "lower", less expensive versions of Quicken to see if the other versions meet your needs. I've heard good things about Propertyware, but since my whole financial life is in Quicken (for better or for worse -- mostly worse), i decided to use Quicken. When you have a rental property it's important to get a handle on your P&L and this does work as advertised for that, i suppose. "Excellent Tool To Use For Business!" I think the simplicity of the program is very well thought out and definitely easy to use. 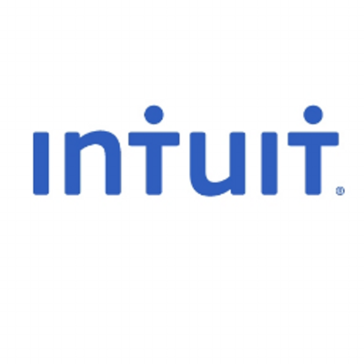 This is definitely another program by Intuit that I would recommend. I loved many of their other products such as Quick Tools, and turbo tax, that this one is just as simple to use. I have not found anything that I dislike so far. I would have to say that sometimes the program does slow down a little bit, but thats because I found it does depend on your internet speed. Other than that the program works out very well. They help you narrow down all the things you need to know in order to rent a property and all the factors that play in, in order to stay one step ahead. I never knew there was so much information about renting a property, and how really simple it could be all at your hands. "He can Make your costs low"
I've used the Software less than a year for that i don't think my recommendations would take seriously, but any way, for the people who likes to done understandable and easy job without feeling tired, this is the best Software who can provide High-Quality Services for you. there is a lot of benefits i realized when i was using Quicken, Generating reports is the best because its very easy and understandable , for my opinion i think the best thing on that software is to make your work easy and fresh. The fact that this program exists at all is something that is really great as someone who is dabbling in having a rental property. I love the classic interface that we know well with other quicken products, and it definitely delivers. I am not totally sure if this is already a feature, as I am a very basic user of this program still, but I think it would be really nice to have a mobile option to manage everything on a cellphone without it taking up a huge amount of space on my mobile device. I am someone who has not been able to scour the internet for other options that would be comparable to this product for those who are dealing with rental properties, but the only recommendation I would make is to really understand all elements that exist for this versus other free options. One great benefit is the tax information that is very easily accessible, especially as we get closer to tax season, this is something that is very beneficial to be able to see. No real business problems have been faced just yet with this program at all. "Good to use, impossible to setup"
Impossible to setup fast, needed a lot of phone support, which was pretty great! Make setup much easier. I had hours and hours of phone support setting it up for my properties. "Quicken Rental Property Management - It works to scale"
Very complete tool that handles what we need for as a small company to manage our rental properties. It can lack some features, but at the pricing it's expected and still a greater start tool. Really helps us manage and oversee our portfolio and know when we need to be more focused on growing and potentially revisiting properties that are underperforming. "Great tool for small business"
I found the program easy to install and use. It has plenty of help if you get stuck. As I used it hints popped up to guide me through the process. I find this tool an inexpensive program to use and economical for small business trying to get ahead. Worked seamlessly with my banks. Can be sometimes too simple but can be upgraded to QuickBooks. Easy tenant individual entries and can also be used to run the business. Inventory is easy to enter. "Quicken Rental Property Management Review"
What I like the best is the familiarity of the applications feel when compared to the other Quicken products. Definitely shortens the learning curve. If you are familiar with other Quickbooks products, then this will feel natural to you right out of the box. It provides a great Overview at a Glance, with most of what I need to see on a day to day basis on one pane of the program. "Quicken Rental Property Management makes managing my rentals a breeze!" I like the fact that this is a dual-purpose accounting software that really streamlines my responsibilities as a landlord. The software enables me to track rental income and expenses by property and unit, track tenant/lease information and generate reports needed at tax time. One of the disadvantages is the software does not track the cost basis of property, depreciation, inventory, capital assets or work orders. It also does not have the ability to create invoices for tenants, this has to be done in another program. Managing income and expenses, tenant information and property maintenance can be overwhelming if I fail to stay organized. This software helps me stay organized, so I can retrieve information quickly and efficiently. "Great for a small business "
It is user friendly and is very easy to set up an account. Gaining old information from the account can be difficult. If you for get a password and don’t have access to the email it can be impossible to gain accesss. Use it. It is easy and affordable. I pay my invoices here send invoices from this as well as pay employees. 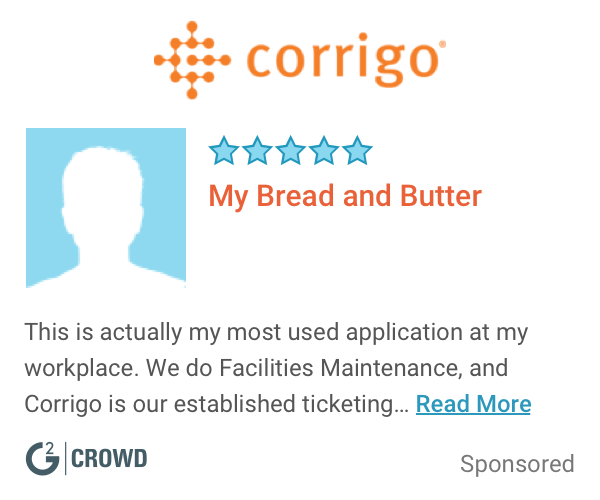 "Fantastic Tool for Property Management"
This got me out of using several tools. Not only can I use this tool for my rental properties, to manage tenants and rent payments, but I can use this for my personal finances as well. Very user friendly and great starter tool. Things can be a little clunky at times. Wish there were more customization options to help take off a few clicks, but overall I'm satisfied. This helped keep all of my tenant information in one place and not on a spreadsheet. The added value of incorporating my personal finances was icing on the cake. "not in love, but not hate it either"
I like the fact that it allows for actual, good, solid, property management. As a tenant it helps me get things done faster than other portals, and allows for payment without exorbitant fees online. i dislike how nearly impossible it is to find whenever i don't get a link. intuit has several things going on with it, and this is just one of many. i don't use this software as a business owner; i've used it as a tenant a couple times. it's ... ok i guess. not that different from the others. "Great tool for managing 5 properties"
It cuts out my terrible bookkeeping habits and organizes as well ad stores all reciepts. "It's kind of tough in to use when I start"
When I working as a freelancer, they have invoice tool which is super easy to send an invoice to my client, and they can link to my bank account to track all the expense. Not so easy to get start it, not very intuitive for me, it took me a while to actually like it. Try the 30 trail first to see, they have a lot of tutorials online also. Track expensive, take a picture for receipt and send an invoice to my client. simple setup and operation. it can combine existing rental financial data. you can do a super quick and easy view of each property's profitability. Also can track income and expenses. It can also help you and prepares reports for taxes. not a lot of info on properties and tenants. Not really a way to import. also doesnt have automation for split expenses. Keeping my PayPal accounts up to date is a challenge. I haven't been able to automate that process regarding Pay pal credit and PayPal payments using other sources. Replace manual bookkeeping for family rental business. It is very east to post rent payments and pulled year to date reports. Also pulling monthly expense reports for repairs. This is a great system. It is also easy to put your vendors on it and sent the W-9 at for tax purposes. I have found nothing that I dislike with quickbooks. This is a great system for property management. End of year tax used to be a nightmare without this system. I wish the website was a bit more intuitive. It seems a bit slow and hard to navigate. Is there an app I'm unaware of? Would love to use it. As a business, we'e able to use Intuit to make sure everything is correct when managing our property and taxes. "One of the best powerful rental property management available in market"
The spending module could have been improved by giving more graphical representation of each budgets. One of the best quicken rental property management software available in the market. Creating custom invoices with own logo and colors and email custom invoices directly from this software. Also, We can securely import the bank transactions. "Great rental property management tool"
Love that this product not only helps with rental properties but also acts as a personal finance tool. Usability is great and takes the problem of having multiple software out of the picture. Really no complaints, this is the first experience I've had with a tool like this. Helped keep all my rental properties in order and manage all the finances associated with maintenance and upkeep. I like being able to quickly access client data and process requests. Takes a while to load up, but once it's up and running it's like a dream. It takes a little bit to get used to the software, but otherwise it's great! Quickly getting access to client data, showing past due amounts, overpayments, current balances, etc. Simply easy to use and understand. Does the right job for what I need. Good product support. Not expensive to buy. Nothing much that I can think of. Never just go with one product. Do your research first. Do your research on any other software. Don't just pick this one. Easy to track all my rentals. Categorizes all your personal, business or rental property transactions all in one place. The software was slow at times. It can just be a pain when you are trying to get important work done. Make the bug updates better in the future. Makes it easier when it come time to file taxes. It allowed us to individualize different properties on the same account. It was more diffiuclt to get started with it than it appeared in its ad. IT is very helpful, so call them! Management of individually owned rental properties for organization and storage of all information in one place. I like That you can do everything in one spot. I think It is a little bit expensive and can take some time to learn. I am Solving filing tax reports and tenant problems. "Haven't messed around with all the functions, but decent so far"
* We monitor all Quicken Rental Property Management reviews to prevent fraudulent reviews and keep review quality high. We do not post reviews by company employees or direct competitors. Validated reviews require the user to submit a screenshot of the product containing their user ID, in order to verify a user is an actual user of the product. Hi there! Are you looking to implement a solution like Quicken Rental Property Management?